1. Pick up a challenge quilt envelope that contains a 10″ square of fabric in one of the colours from our guild logo. The three challenge fabrics were all Free Spirit Cottons in the following colours: Tropical, Jade, and Spring. 2. 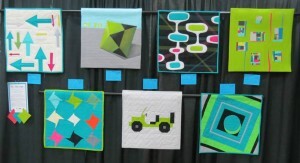 The colour of the square in your envelope must be the dominant colour in your challenge quilt. 3. 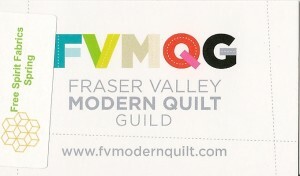 Use the guild business card provided to show you the other colours that can be used and feel free to add as many of those colours as you would like. 4. Solids only. No prints. 5. Neutrals can also be used. 7. 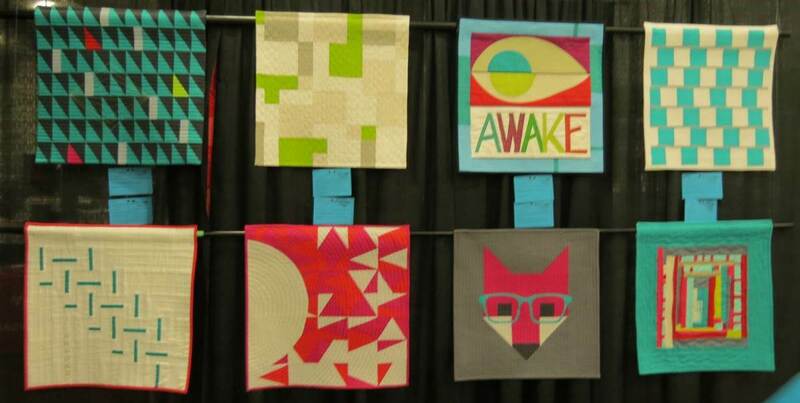 Keep your quilt a secret. Do not post pictures on Facebook. 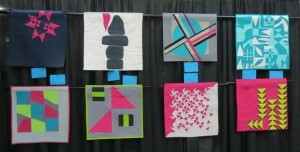 Nothing is to be revealed until the quilts are hung and voted on by the public at the show. The colour in the envelope that I received was Spring. I love lime green so I was pretty happy that this was the colour that was assigned to me. 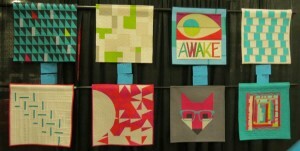 The challenge quilts were displayed for public viewing at the Creativ Festival show on March 16 and 17. 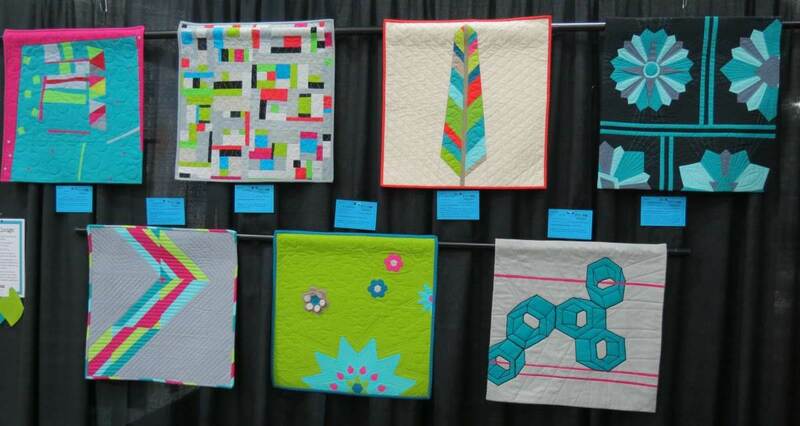 We have to wait until the April guild meeting to find out who won the Viewer’s Challenge Award and to see who made which quilt. 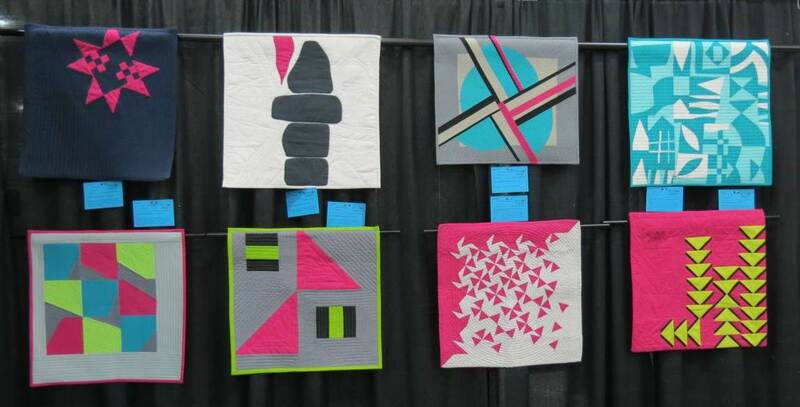 This entry was posted in challenge, Creativ Festival, Creative Stitches Show by Norma Hanson. Bookmark the permalink.